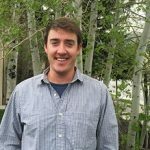 The Town of Vail recently announced the hiring of Pete Wadden to fill the newly created position of watershed education coordinator. Wadden will be responsible for advising and supporting the town and community members in continuing the decade-long initiative to restore Gore Creek. Activities will include volunteer coordination, educational seminars, restoration projects and the soon-to-be-announced back-yard riparian restoration incentive program. An avid fly-fisherman and boater, Wadden has worked on stream monitoring and restoration projects for over a decade in Maine, Ohio and Colorado. His most recent experience with stream health issues, restoration and education came during his tenure at Walking Mountains Science Center, where he trained volunteers to monitor creeks on the White River National Forest. As the town’s newest employee, Wadden joins the town’s environmental sustainability team headed by Kristen Bertuglia and coordinator Mark Hoblitzell. Bertuglia says Wadden’s vast experience will provide an immediate benefit to the community. “Pete is intimately familiar with the Gore Creek studies and is eager to share his enthusiasm for involving the entire community in its restoration,” she said. Wadden’s role was created as a full-time, two-year termed position. For additional details, contact Wadden at 970-479-2144 or email pwadden@vailgov.com.